David Ebling, headmaster of Fairfield Warde High School, announced his retirement last week, effective July 31. FAIRFIELD — At 3:01 p.m. July 31, Fairfield Warde High School Headmaster David Ebling will be, after a 40-year career, a retired educator. Though he plans to remain connected to education, the Trumbull native said he has an idea of what to do on his first day of retirement. “I look forward to talking a walk on the beach,” Ebling, 63, said with a smile. On March 27, a day after announcing his retirement decision, Ebling said he felt very mixed emotions. “I feel confident that I left the school in a good place. We have been through a lot of improvements in our plan,” Ebling said. Ebling’s wife, a former social studies teacher at Fairfield Woods Middle School, retired four years ago. He said it was around January this year that the thought of retirement became more of a possibility. “The timing with school is always a challenge. I didn’t want to leave the district in a position where I retired too late — being a headmaster is a big job — and I didn’t want to leave too early because then you’re seen as a lame duck,” Ebling said. 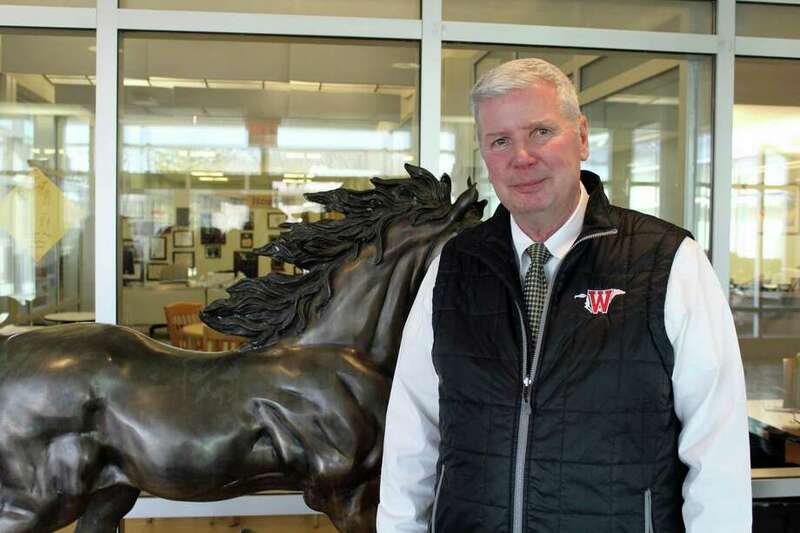 The Warde headmaster’s announcement prompted praise and best wishes on social media. Fairfield Ludlowe High School Headmaster Greg Hatzis said, while the high schools are rivals on the fields and on the courts, working with Ebling demonstrated they are all part of the a unified town. As graduation nears — a date will be set at the Board of Education’s April 9 meeting — administrators will commence the search for a new Warde headmaster, as well as a new superintendent, for the 2019-20 school year. The process would culminate with the central office issuing an offer to the final candidate, Jones said. While his mind is still fixed on the next four months left with the district, Ebling said he has considered traveling to Asia and spending time with family when he retires. “I look forward to other work opportunities in education. I’m not the kind of guy who is just going to sit around,” he said.